It might be hard to picture right now, but big companies will not be the drivers of e-commerce in the future. Small and medium-sized retailers will be. Pierre Poignant, chief executive officer of the Lazada Group, said so during the Southeast Asian online shopping company’s inaugural Brands Future Forum held in Singapore last March 21. “The next wave of change and growth in global trade will not come from big companies, will not come from the containers. It will come from the parcel, and from small and medium-sized companies,” he said in his keynote address. “We’re going from the containerization to the parcelization of trade. And we want to, as Alibaba group, to drive this economy,” he added. Chinese e-commerce giant Alibaba Group bought a controlling stake in Lazada in 2016, mainly for its expansion in the Southeast Asian region. And so the startup-turned-e-commerce giant is doing a few tweaks in LazMall, the online shopping mall it launched in September last year. Since then, LazMall has been home for special products from authorized distributors—mostly big brands like Estée Lauder and Unilever. Local brands such as The SM Store and Robinsons Appliances are on the platform, too. LazMall guarantees that all the products are 100-percent authentic and are from a curated list of leading local and international brands. 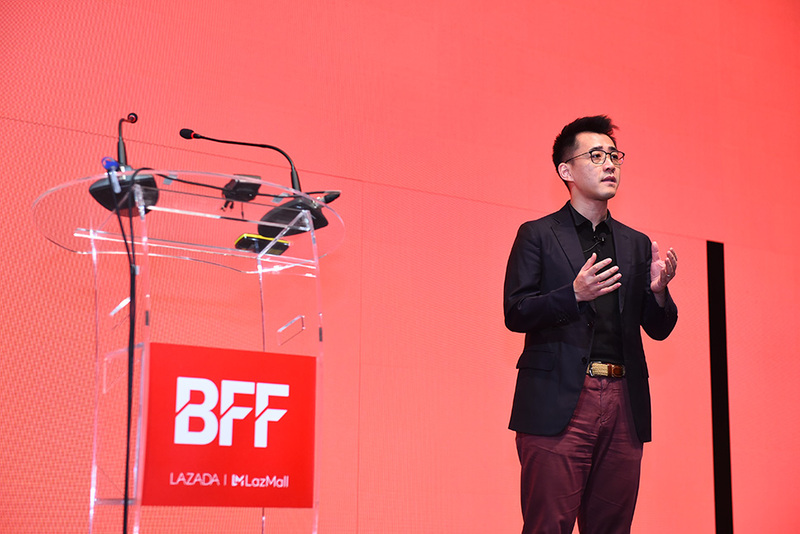 “[We built LazMall] because we want to address two things: from the consumer angle, and also from the brands and selling angle,” said Jing Yin, president of Lazada Group. 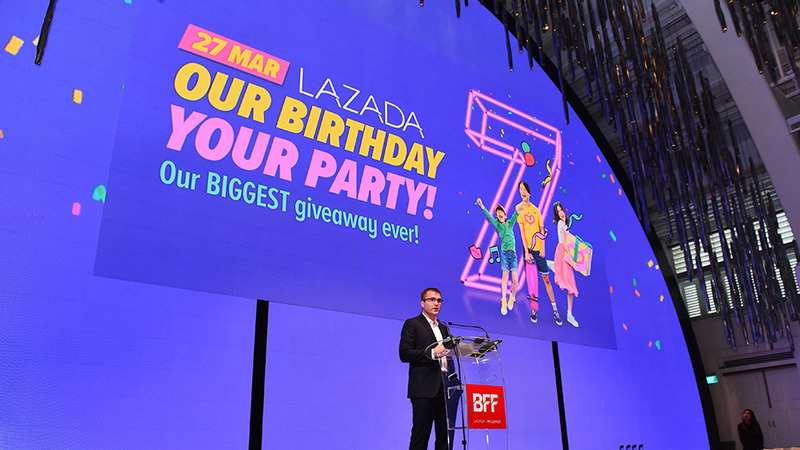 For Lazada’s 7th birthday, however, the company announced that they are opening LazMall to small retailers. LazMall is more accessible now than ever, thanks to its self-sign up feature. Interested brands, no matter the size, will now be able to apply for a space in the online mall through a few simple clicks in the app. The feature was launched on March 15. Seller picks are items the retailers specifically want to promote. In turn, Lazada and Alibaba’s technology will highlight these products by delivering more traffic, which Yin said improves sales by up to 30 percent. “No seller is too small to aspire, and no brand is too big to be a super e-business,” Poignant said. On top of that, the Alibaba-backed e-commerce company recently launched its shoppertainment feature—the first in the region—to drive higher store foot traffic. Through this, the app now hosts occasional live streams and in-app games. “The country of Philippines is one of the fastest growing countries of our businesses because that’s where we see a strong reflection of young entrepreneurs empowered through the new way of working," Yin said. "Like empowered to unlock lots of opportunities."